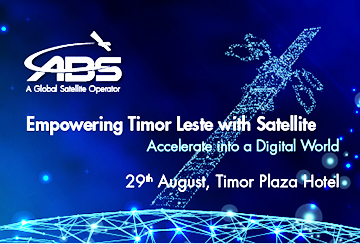 ABS conducted a seminar session on August 29 on the topic “Empowering Timor Leste with Satellite.” The dialogue’s aim was to foster greater interest in bringing satellite-enabled services to communities across the country. The forum provided an opportunity for the exchange of views on satellite connectivity and how this could bring Timor Leste into the next digital age. The seminar included an overview of the region, live demonstrations, technical sessions and case studies with interaction from the participants. 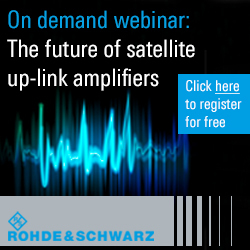 The event was an opportunity for ABS, along with public and private organizations to discuss challenges and insights into the latest satellite technology and innovations. Participants welcomed the opportunity to address social issues and exchange views on how to bring basic necessities to millions of people through sustainable and affordable programs with ABS and peers from other sectors. Tito de Jesus, Chief of Information and Technology, Timor Gap, added that the forum was very enriching and eye-opening. The content of the presentation was specifically tailored to address the needs in Timor Leste. Donald Chew, MD of Asia Pacific, noted that The feedback from the participants have been very positive and the live demonstrations have given them a new perspective on connectivity via satellite. The company looks forward to continuing to work with the government departments and different sectors to accelerate the much-needed connectivity across the country.